A BIG, strong email list is one of the foundations of any successful online endeavor, whether it’s an ecommerce site or just a blog. It’s a low risk, high return marketing channel that helps you do everything from driving traffic and making sales to building relationships and doing market research. Unfortunately, the competition for your audience’s email addresses is higher than ever. 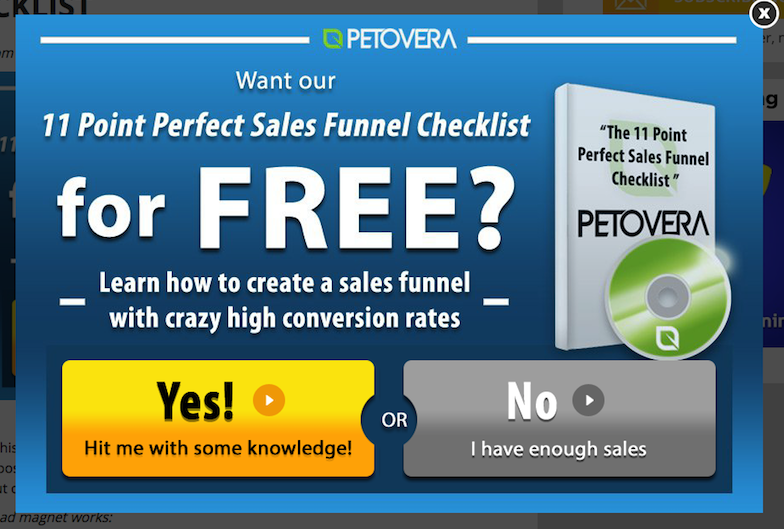 If you want to grow a serious list (and we know you do), you have to do it the right way. A popular and effective way to do it is with something called a lead magnet – also known as an opt-in bonus or “bribe”. You’ll offer your site visitors, customers, etc. a free but valuable piece of content in exchange for their email address. 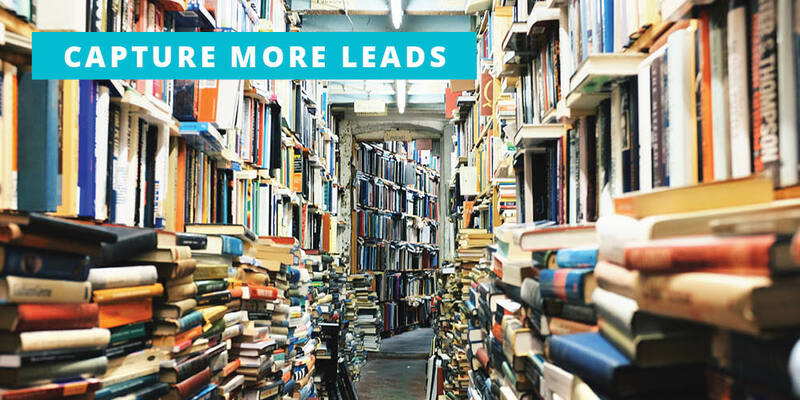 A good lead magnet can increase your opt-in rates dramatically. But how exactly do you create one? Let’s take a look. A successful opt-in bonus needs to be something your audience actually cares about. If your site gives stock market tips, for instance, your readers probably won’t be interested in a free guide for cooking the perfect apple pie. And if they don’t care about your lead magnet, they won’t subscribe. It’s as simple as that. Start with a little research and brainstorming to find a topic that fits what your readers want to hear about. Use feedback from your current customers and audience for ideas. This could be blog comments, emails, or whatever else you can dig up. What kind of questions do people ask? What problems of theirs can you solve? If that doesn’t work, you could always try asking. That’s right – give your current email list or visitors a shout, asking them what you could do better. What are they struggling with? What would they like to learn more about? Try piggybacking on your competitors’ research and using their current products to inspire your next one. Don’t copy them directly, but don’t be afraid to get some ideas from what they’re doing either. What kind of products or services are they offering? What are they doing that you’re not? If someone’s selling, chances are someone’s buying. Check out the ebooks and courses offered on sites like Amazon and Udemy to get ideas for your own ebook or course. What ebooks or courses are there in your niche? Which ones are the most popular? 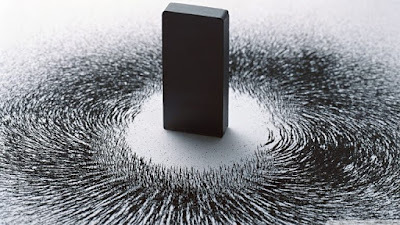 Lead magnets can come in all shapes and sizes, but these are some of the most popular. The most common opt-in bonuses are text-based, like a PDF or Kindle file. You can write one on pretty much any subject, whether it’s broad or specific. Of course, the more narrow your field, the less people it will appeal to – but the more unique your report will be. 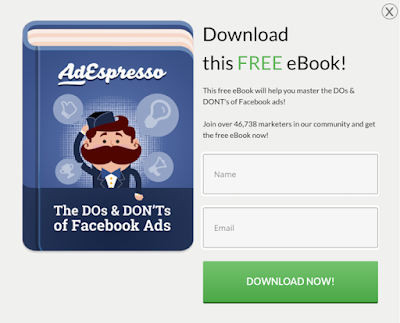 For example, take a look at this eBook offered by AdEspresso targeting Facebook Ad Users. If viewers aren’t interested in Facebook Advertising, they likely won’t take the bait. However, anyone who is interested probably signed up for the free eBook. And AdEspresso gained a new subscriber. Just like that! 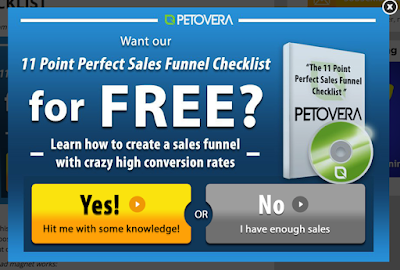 Try a quick list, like this checklist offered by Petovera. 11 items keeps it short and to-the-point, but still provides enough value to encourage action. Want to really up-the-anti? This is where a good guide can come in handy. They’re light on theory but focus on actionable tips and steps you can implement today. This one offered by HelpScout, which is ‘filled with advice’ and will ‘demystify the hiring process’ for interested readers would be a huge score for anyone looking to fill a customer service position. If writing isn’t your strong point, video may be the format for you. You can shoot it with your webcam, your cell phone, or even a professional recorder. The best part is, people consider video guides more valuable than an ebook or PDF. For example, Lewis Howes offers free online training webinars as an enticing lead magnet. Viewers just need to opt-in to claim their seat for the video presentation. At first glance, a course isn’t really that much different than an ebook or video guide. But what sets it apart is how the information is structured. Material is presented piece by piece, like you’d find in an actual class, and uses a mixture of video, written material, and assessments. This 3-Day Training Series lead magnet clearly offers a course in exchange for an email. Pretty simple, right? If you’ve got a subscription based service or physical product, there’s an excellent lead magnet right at your fingertips. Many people will be happy to give their email address in exchange for a free trial of your service or a complimentary sample of your product. Once you’ve got a subject and a format figured out, it’s time to get down to work. But be careful. The next two points can really make or break your lead magnet. A great opt-in bonus isn’t something you just slap together in half an hour. The most effective bribes deliver huge amounts of value. 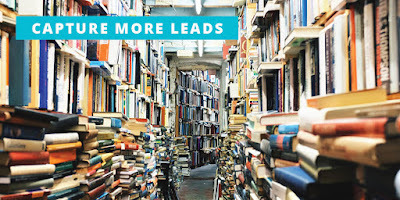 In fact, if you’re doing it right, your free lead magnet should be just as good as some of the paid products out there. It’s important to focus on quality and value during the creation process. Of course, there are some tricks that make blowing your audience away a little easier. One way to drastically reduce your time investment is repurposing content you’ve already created. Do you have a blog article that can be expanded into a good report? Many blog authors will even take a collection of blog posts, edit them together, and boom, there’s an ebook. Do you have any video content you’ve already recorded? Or maybe there’s something you can easily record and repackage while still shelling out tons of value. For instance, taking a Skype Q&A and editing it into something that’s nicer to look at. The way you present your information or product is often just as important as the lead magnet itself. Hire a designer to create a slick looking cover for your ebook and format the text to look extra professional. Or, if you’re a do-it-yourself-er, take a look at this design studio that’s optimized for internet marketers. If you’re shooting a video, use a quality camera for your video presentation and make sure it’s edited to perfection. Investing a little extra time and money into your presentation will give the perceived value of your bonus a huge boost. And it’ll pay off in the long run when you’ve built a massive email list. Who Will Your Next Subscriber Be? To create a lead magnet that attracts email subscribers like nobody’s business be sure you follow through. Start with a topic that your audience is dying to learn about. Choose the perfect method to deliver your information and make sure your finished product is great quality, delivers tons of value and looks the part. Putting in the effort to create a strong lead magnet will leave you with a sense of accomplishment. Especially when you can look back and see the results – a growing subscriber count! Once you’ve built a strong list, the possibilities are endless. Use it to drive traffic, sell your products, and more. It’s the key to your success online. That leaves us with the question: what kind of opt-in bonus will you create?